Our facility voluntarily underwent a thorough evaluation by The Joint Commission. The goal of the evaluation? To see if our facility meets The Joint Commission’s rigorous performance standards in delivering quality, safe care. 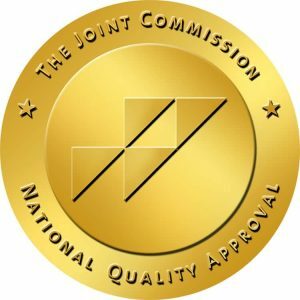 By meeting these standards, our facility received The Joint Commission Gold Seal of Approval® – an internationally recognized symbol of quality. Mike Harris, Chairman of the Board, won the Board Excellence Award (2016). Danita Henson was presented the Career Achievement Award in recognition of her commitment to the health center mission and to lifelong learning and subsequent career advancement. Hamilton Health Center’s Outreach and Enrollment Team, led by Roberta Vann, and was presented the Coverage Champion Award in recognition of the team’s commitment and passion to promoting outreach and enrollment, and to helping individuals gain the security of health coverage. In addition to Vann, the team includes Rosemarie Gonzalez, Patricia Heidelberg, Patsy Jones and Jackie Keys.